Greece, Collection in Scott Album, Many hundreds from 1861 to 1990, early issues used 1937 mostly o.g. 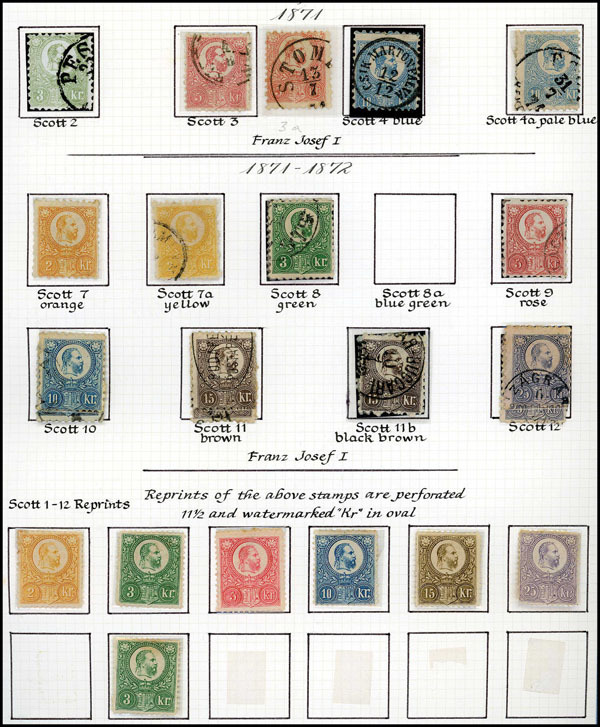 with many n.h. sets, better items include mint #535-573, 604-617, C5-C7, plus some Back-of-the-Book issues, generally Fine to Very Fine. Greece, Hermes Heads Study Lot, 167 examples, much duplication but useful group, Fine overall. Greenland, Mostly Used Collection, From 1938 to 2002, o.g. #19-27, balance mostly used including 12 Pakke Portos (mint or used), Fine. Hungary, 1871 to 1945 Extensive Mint and Used Collection, Housed in two deluxe binders and mounted on handmade pages, noted some shade varieties on the early issues plus, #2, 6 (cert), 6a (cert), 9a (cert), 82b (cert), 96a (cert), 467 (cert), Semi-postals mint, virtually complete, along with Airs, Special Delivery, Registration, a good selection of Dues, Newspaper, Officials a clean, useful collection, generally Fine to Very Fine. Hungary, 1919 to 1920 Occupation Issues Collection, Mint collection housed in deluxe album and mounted on handmade pages, includes French, Romanian and Serbian Occupation plus Szeged Issue, noted a couple of certs (#7N39 and 9N3 proof strike block), a clean and useful group, generally Fine to Very Fine. Hungary, 1938 to 1987 Mint Imperfs and Souvenir Sheets, Mostly n.h. selection on Vario pages, a useful group, Fine to Very Fine. Hungary, Mint and Used Collection, 19th & 20th Century mint and used on homemade album pages in a binder, surprising amount of better material incl. #486, 528, B94, B97, Red Cross sheets B148-150a, C1-2, C12-23 ($80), C24-25 (Zepps), C26-34 ($198), C35-44 and more, inspection recommended, mostly Fine. Hungary, Collection in 2 Scott Albums, Few thousand from 1871 to 1977, early issues mostly used, mostly mint sets from 1932 on, including Semi-postals and Airmails, also interesting group of Occupation issues, generally Fine to Very Fine. Hungary, 1941 to 1999 Mint and Used Collection, hinged in Scott Specialty album, mixed mint and used incl. cto., incl. Back-of-Book, well filled, a few partially stuck down, generally Fine to Very Fine. Iceland, Better Collection, mostly n.h., earlies used, 1873 thru 1994 incl Airs, Back-of-Book, and souvenir sheets mounted in 2 Lindner hingeless albums and pages, high cat value, generally Fine to Very Fine. Iceland, Extensive Collection, Few thousand from 1876 to 2002, majority used especially in modern issues, better items include o.g. 151-166, C1-C11, O53-O67, Fine. Iceland, 1873 to 1966 Collection, several hundred incl. Airs and BOB mounted in Leuchtturm hingeless album and pages, early used, later n.h., generally Fine to Very Fine. 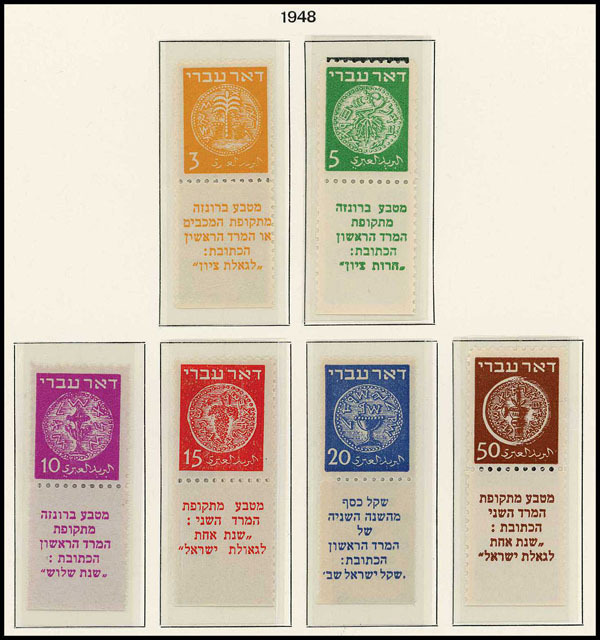 Israel, Virtually Complete Tab Collection, to 2004 in 2 Schaubek albums, missing only #7-9, J1-5, few early sets hinged only, Fine to Very Fine. Italian Area, Better Mostly Mint Collection, Few thousand from 1862 to 1969, few early used balance mostly o.g. with many later n.h. sets, better items include mint #48, 58-63, 64-66, 76-91, 117-118, 202-210, 486-488, 518, C1-C61, C73-C136, mostly complete from 1935 on nice BOB including Parcel Post, Dues and some better Offices Abroad, worth a close look, generally Fine to Very Fine. Italian Area, Substantial Mint and Used Collection, Housed in two Minkus Specialty Albums, starting with a nice run of Italian States and classic Italy, mint #115-18 (Cat. $230), many mint pre-WWII commemorative sets and onward, nice Back-of-the-Book incl. B17-19 ($100), C3-9 ($150), Q1-6 ($570+) Trieste, Offices, Aegean Islands, incl. soccer set 31-35, C28-31 ($800), then Italian-related Colonies and areas, Fiume incl. B4-15 ($570), Cyrenaica, Eritrea, Tripolitania, Italian Cols., Italian East Africa, Italian Somaliland, incl. B58-51 ($279), Libya and Oltre Giuba, generally Fine to Very Fine. Italian Area, Rhodes/Aegean Islands Collection, About 100 o.g. including #1-13, 15-23, 38-44, 74-81, and B1-B18, generally Fine to Very Fine. Italian Area, Offices in China Mint Collection, About 60 mostly o.g. including #1, 16, 22, J7-J8, Tientsin 5-14, 15-23, and used J8, generally Fine to Very Fine. Italian Area, Offices in Turkey Mint Collection, About 100 mostly o.g. with a few used including mint #6-7, 19, E4, used 17, and o.g. Smyrna complete, generally Fine to Very Fine. Italian Area, Collection of Occupations and States, Many hundreds in a Scott album, mostly o.g. with few n.h. sets including Austrian Occupation, Corfu, Fiume, Ionian Islands, Italian East Africa, Trieste, and few used Italian States, generally Fine to Very Fine. 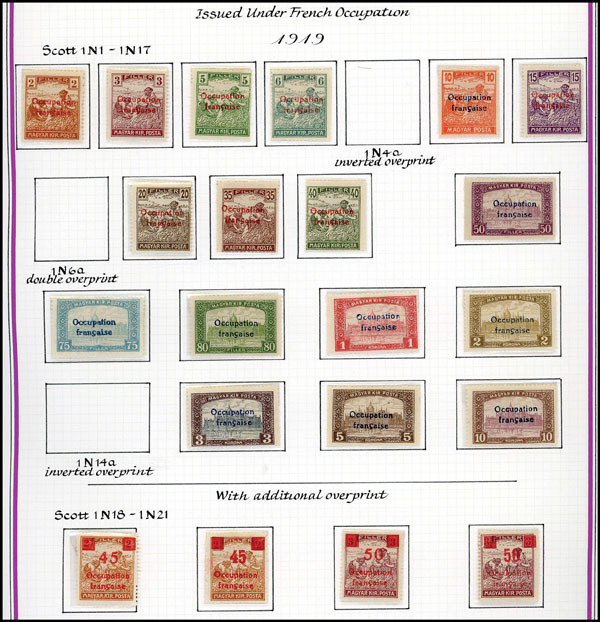 Italian Area, Colonies General Issues Complete, 1932 to 1933, generally Fine to Very Fine. Italian Area, 1941 to 1998 Mint and Used Collection, hinged on Scott Specialty pages, mixed mint and used with more mint than used, regulars well filled, Back-of-Book hit and miss, a few partially stuck down, generally Fine to Very Fine. Italian Area, Offices in Bengasi Mint Complete, o.g., generally Fine to Very Fine. Italian Area, Occupation of Dalmatia Complete Mint Collection, o.g., #1-8, E1-E2, J1-J4, generally Fine to Very Fine.